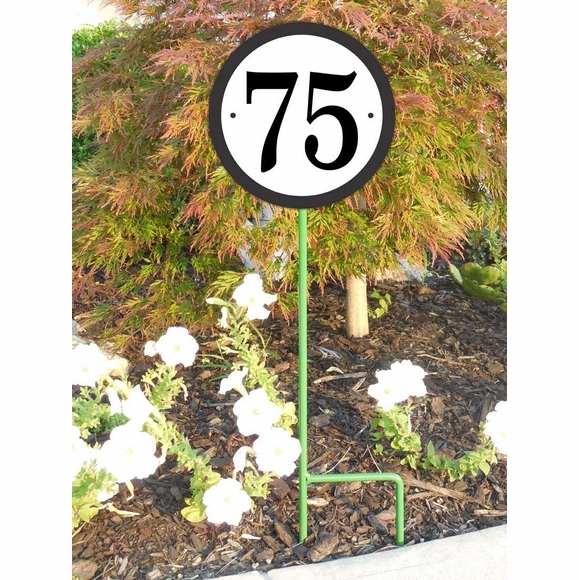 Round Address Number Lawn Plaque - - 8" round address sign ships with one black lawn stake. Free Personalization. Made in USA. One-line address number plaque holds one large 5.5" character or up to four 3" high characters (letters or numbers). Click the second link in Related Products to purchase the solar light. To purchase a wall mount round address plaque to hang on your porch, side wall, or back fence, click top link in Related Products.